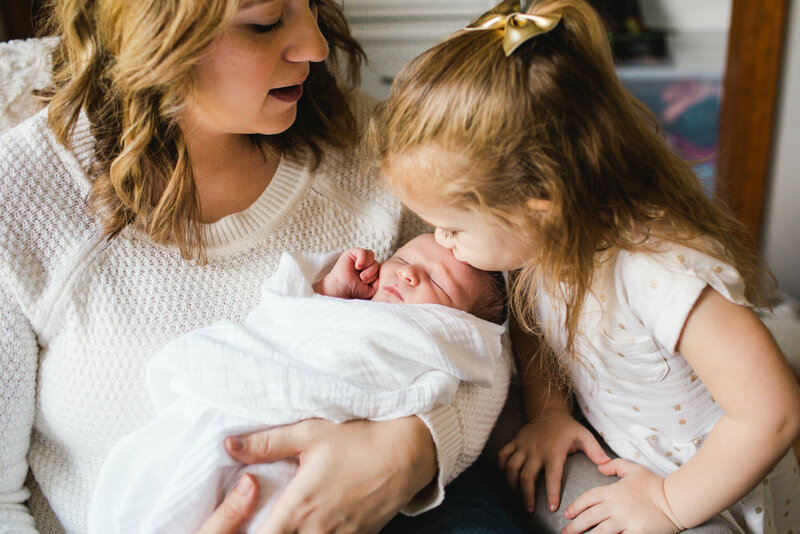 You may have noticed that all of my Indianapolis newborn photography sessions are done inside the homes of the families that choose to work with me. I feel so lucky to visit the homes of so many wonderful families and document some of the first special moments with your new little bundle of joy. Being in your home is important to me, because this is the space that is most important to you. It’s the same place where you tuck your little ones into bed each night, share your meals, play games, read stories and build your life. Your home is such an special part of your life and deserves to be a part of your story. So if you are thinking of booking a newborn session, or preparing for your upcoming in-home session, here are a few tips that will help you to prepare. Because we all know that once the little one arrives "planning and preparing" tend to go out the window for awhile. I put this first because no matter what, I will make sure that the backdrop for your images is perfect. If I need to move something, tidy a space or adjust the furniture to find the best light (with your permission) I will do so. I know that MANY people are intimidated by the idea of in-home newborn photos, but I promise I will find a way to make your space look it's best, even if every inch of your home doesn't look like a Crate and Barrel catalog. I know as well as anyone, homes with children rarely look perfect, especially when you have a fresh new baby to snuggle! Relax.. I've got this! I love to capture images of families in mom and dad's bed. This is so often where the whole family gathers for morning snuggles or an afternoon nap. It provides a great space to gather together and the only thing you really need to do is to make your bed and maybe clear off your night stands prior to my arrival. I tell all of my families during this session to stick with neutral colors and patterns. Ivory, blush, grey are great tones to work with and they allow the focus to be on your new baby. No distracting logos or bright neon colors. A nice lace or simple texture can work well, but usually simple is best. Choose mom's outfit first and then plan everyone else around her. An added bonus of this session being in your home is that you can always lay out a few ideas and I can help you when I arrive, if needed! This will be my main focus once I arrive. I really only need one great window to capture some beautiful images of you and your little one. If you have time prior to your session, send me a few photos of your main living space, nursery and master bedroom. This will help me to prepare, but if you don't remember or have time we will get it all sorted out once I am at your home. 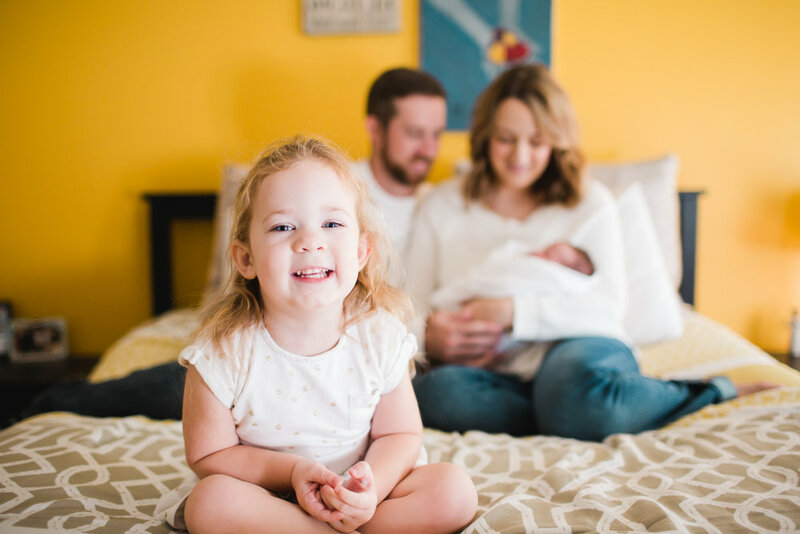 The best way to get great images during any session is to stay connected and engaged with your family. Look at your handsome husband, soak up that new baby smell, touch the hand of your beautiful wife. Staying connected (holding hands, hugs, kisses, etc.) makes for great photos filled with love and emotion. Once you are home with your little love, the last thing you need to worry about is your photo session. 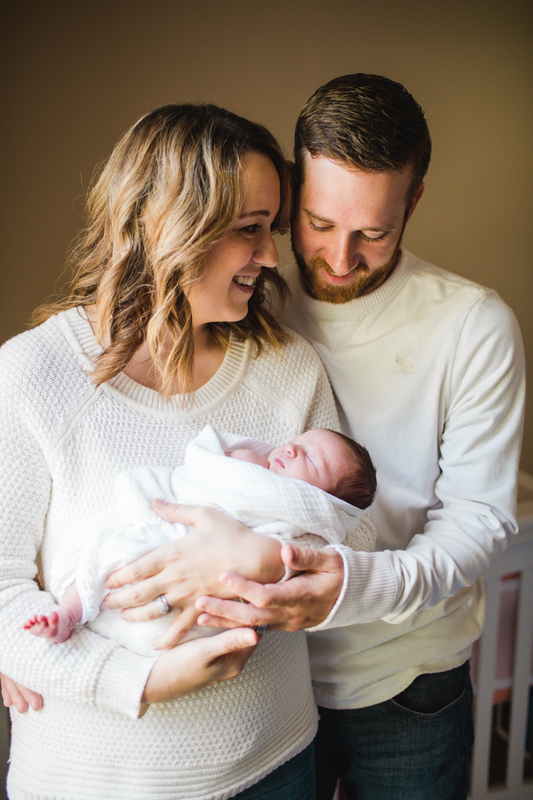 Let your photographer be your guide, keep things simple and soak up this incredibly special (and fleeting) time with your sweet and sleepy little newborn. 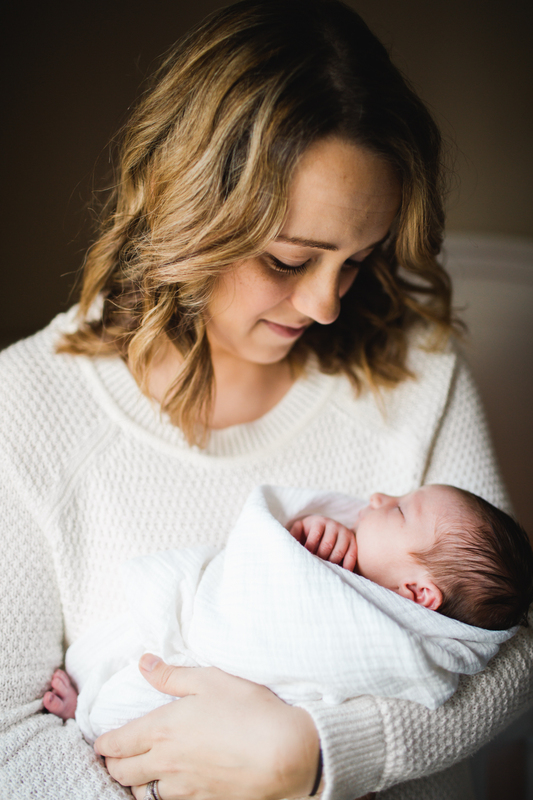 If you are thinking of booking an in-home Indianapolis Newborn Session I would love to connect with you! I'm happy to answer any of your questions and tell you about all of my newborn photography options.